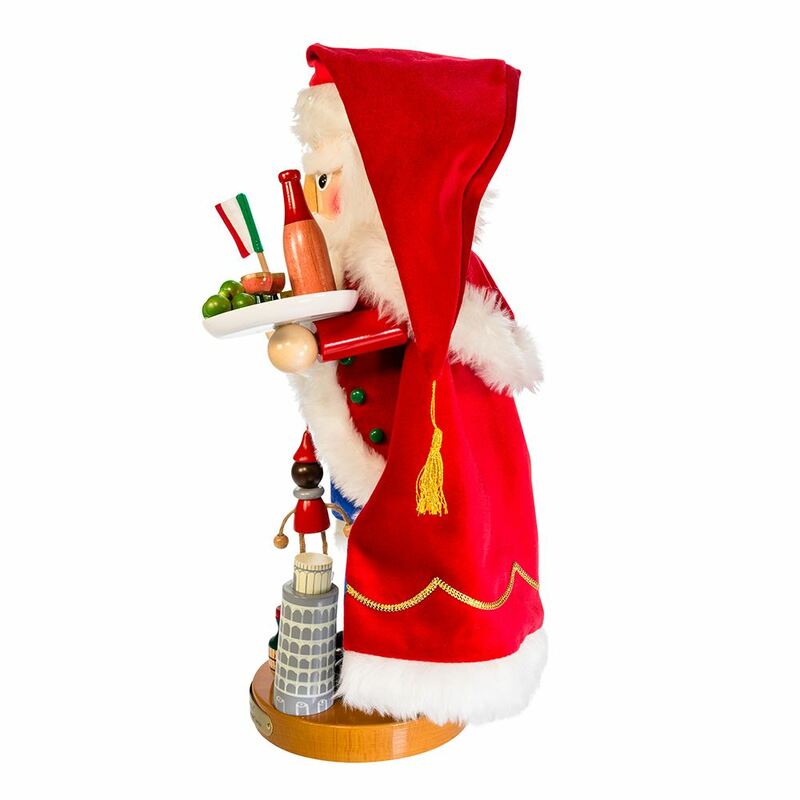 25th in the Christmas Legends Series. 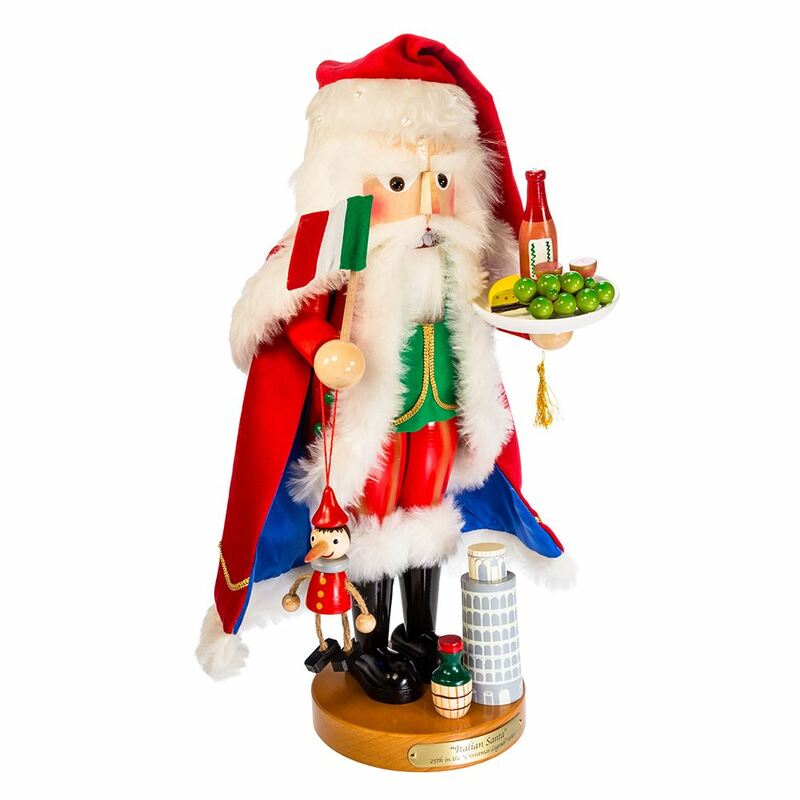 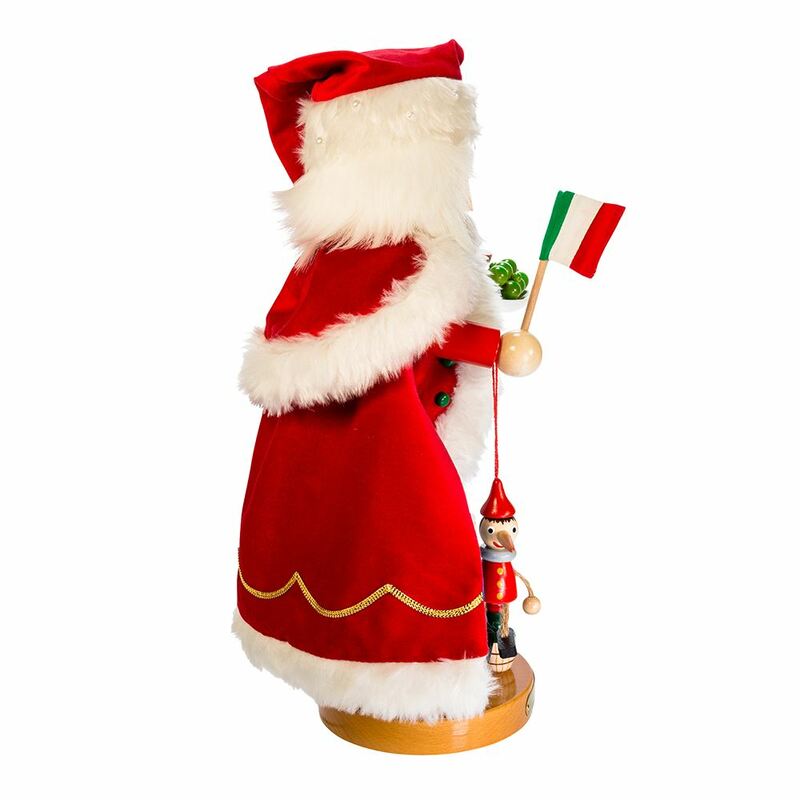 The Limited Edition Steinbach Italian Santa nutcracker will be perfect to decorate your home this Christmas! 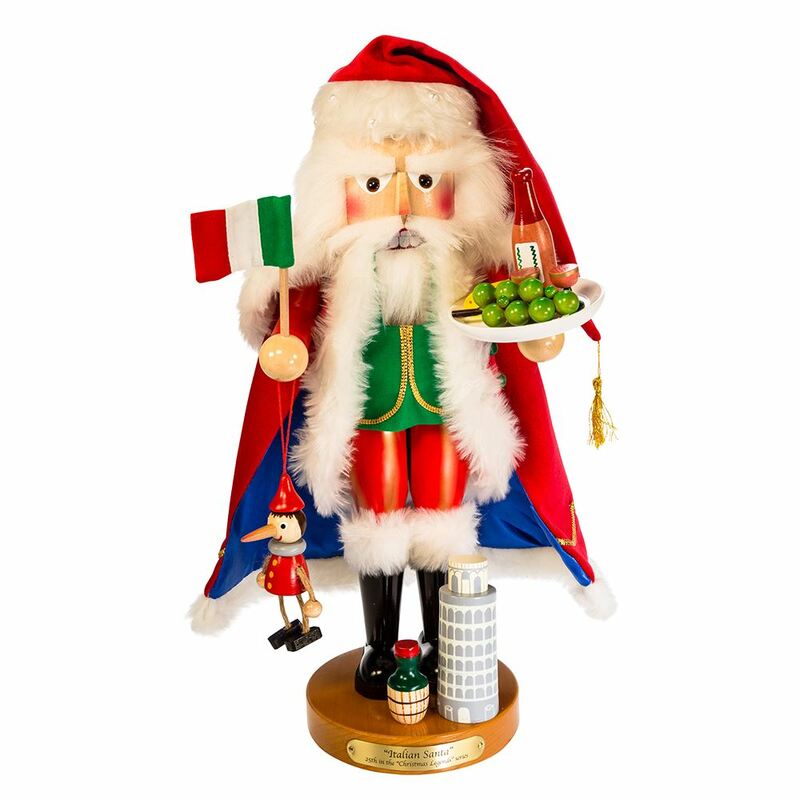 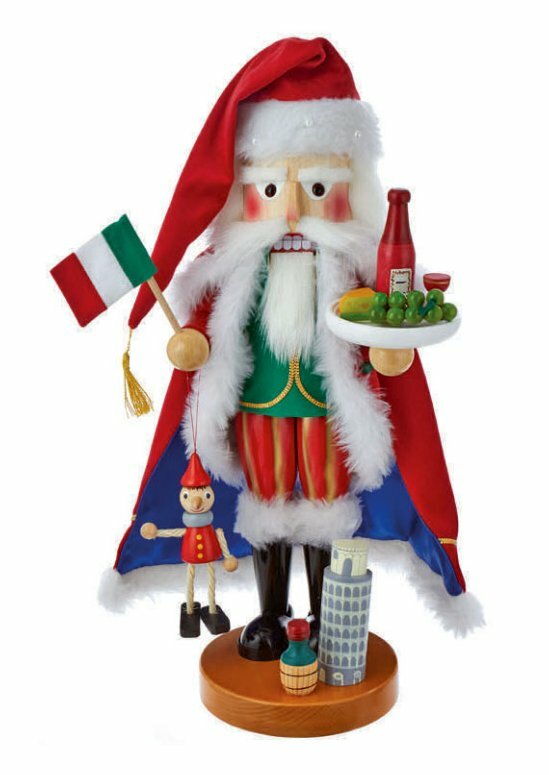 This nutcracker is holding the best that Italy has to offer, including, an Italian flag, Pinocchio, the tower of Pisa, as well as a plate of Italian snacks. 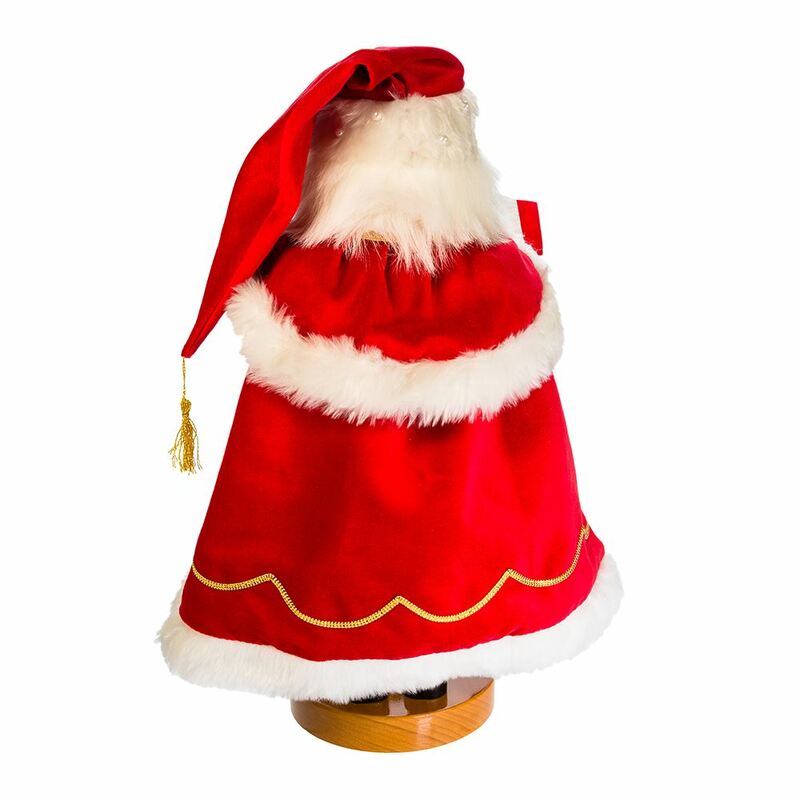 Santa is wearing his iconic red hat and a unique red and blue cape.